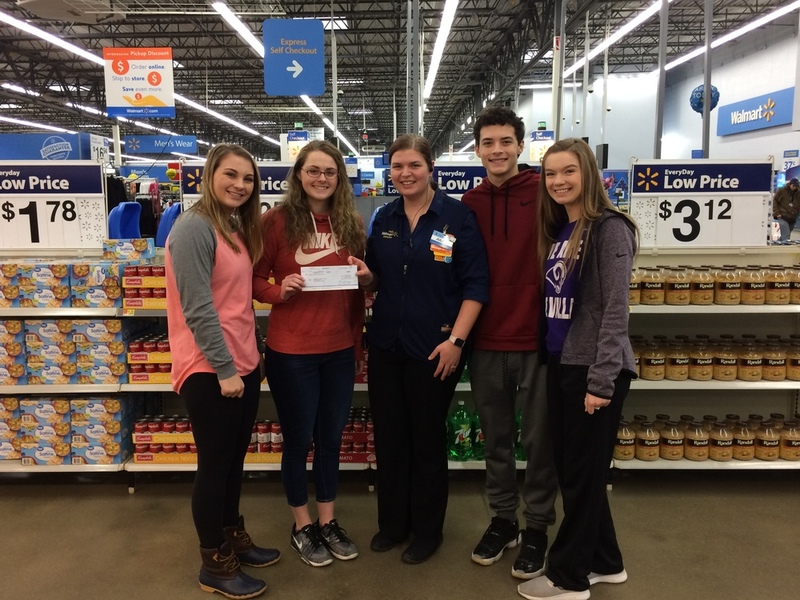 Shelbyville High School's Principal's Cabinet is pleased to announce that they have received a $500.00 grant from Walmart's Community Grant Program. The grant request was written to further enhance the Principal's Cabinet's Golden Horns/Silver Hooves quarterly student incentive program. This program is based on a student's grades, attendance and lack of discipline. The money for this grant will fund student prizes, gift cards and a reward trip. The Principal's Cabinet would like to thank our local Walmart for their support! Allison Oligschlaeger, McKenna Kull, Conrad, Wade Johnston and Elizabeth Bowyer.